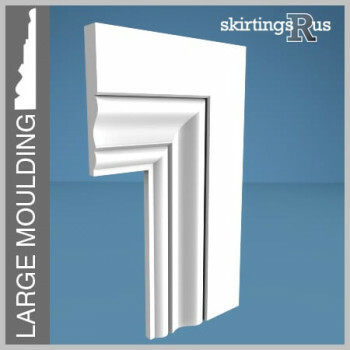 MDF architraves are a time efficient and cost effective option for renewing your the moldings around your doorways. 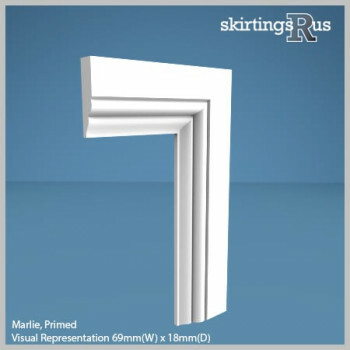 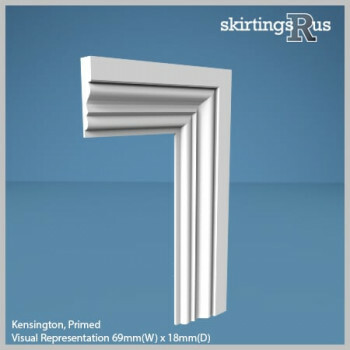 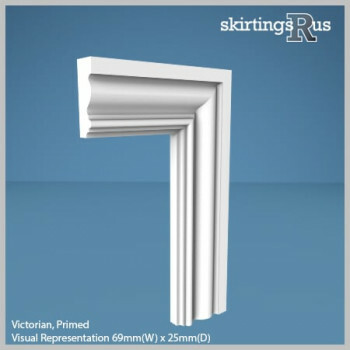 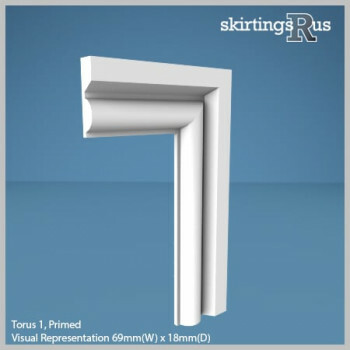 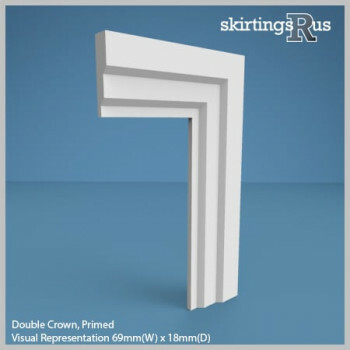 Our pre-priming option will remove the tedious task of priming your architrave, while the nature of MDF means the board is both durable, and without knotts or natural timber defects, that would otherwise require treating and/or increased waste. 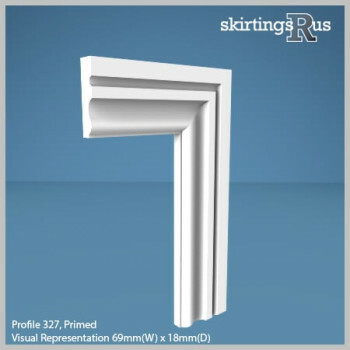 We have a large choice of 60+ architrave profiles. All of our MDF architrave profiles are designed to perfectly match their skirting board counterparts, and are available in numerous widths between 50mm and 120mm, all available in a pre-primed option to provide the classic white architrave colour. While fitting a different architrave to your doorway can be done, most customers opt for matching skirting and architrave, which provides a consistent design throughout an interior. 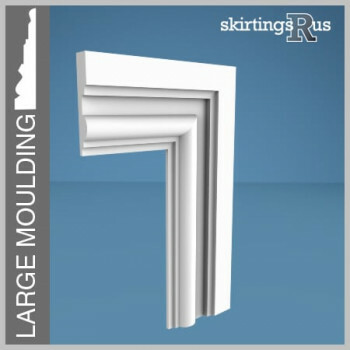 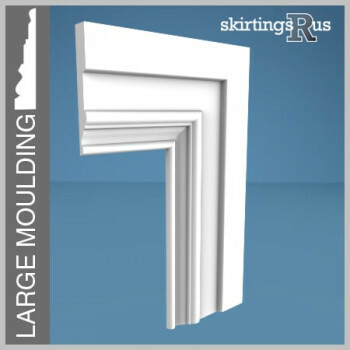 All of our architraves are available to buy in lengths of 2.4m, 3m and 4.2m. 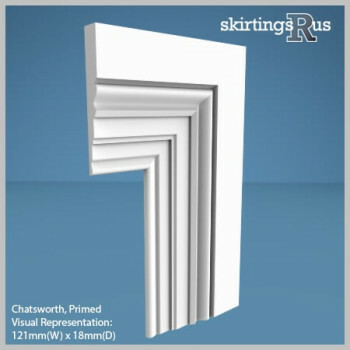 Alternativly they can be supplied in door sets suited to single door widths, or double door widths. These consist of two upright 'legs' at 2.4m for the sides of the doorway, and a horizontal 'head' for the top of the doorway which is 1.2m on a single door and 2.4m on a double door set. Door set refers to one side of a doorway with a 'single' refering to the width of a single door, and double refering to the width of two doors side by side, like french doors, rather than both sides of a doorway. 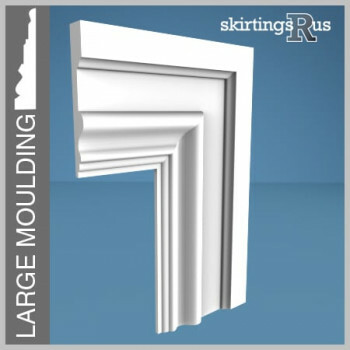 Made To Order On A Fast 3 Day Lead Time! All of our MDF architraves are machined in-house by our specialist team of wood machinists and sprayers, using the latest machinery and production techniques available. This allows us to delivery superior quality architraves direct to your door. Our lead time is usually 3 days, but due to our competitive prices, this can be exceeded from time to time. 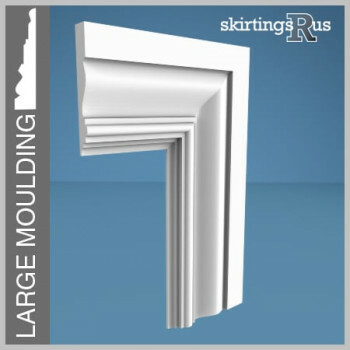 We invite you to order a free sample and check our results for yourself!